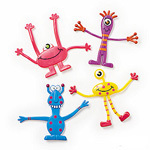 A mini 2" version of our bendable smile figures that will make you smile. Great quiet fidgit for the car, office, home or class. These happy Bendable pirates will ‘shiver yer timbers’! Perfect fidget toys for quiet use. Great resistive toys for developing hand skills, enhancing attention, and relieving stress! A wacky buddy to help get you through your day! These delightful robot bendables are great company! Perfect fidget toys for quiet use. Great resistive toys for developing hand skills, enhancing attention, and relieving stress! 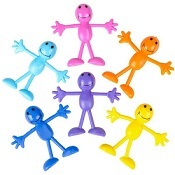 This little bendable fidget will make you smile! 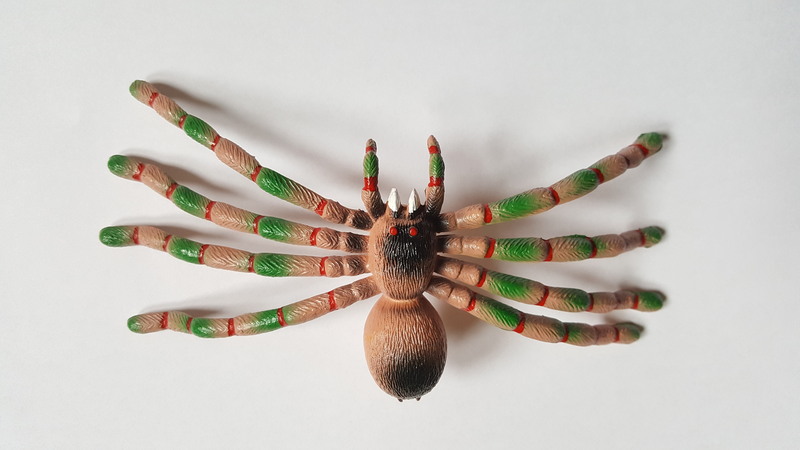 These bendable spiders have legs that move in all directions. Perfect fidget toys for quiet use. Great resistive toys for developing hand skills, enhancing attention, and relieving stress! 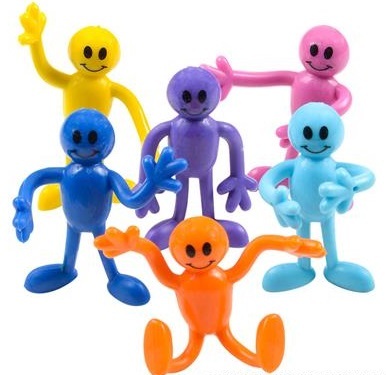 These delightful bendables are great company! Perfect fidget toys for quiet use. Great resistive toys for developing hand skills, enhancing attention, and relieving stress!